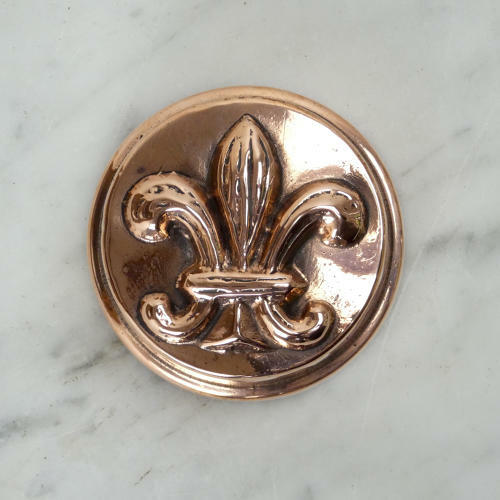 A very good quality, miniature copper mould with a Prince of Wales feathers or Fleur de Lys to the top. This is marked with a pattern number '191' to the side of the mould and it dates from c.1880. The design to the top of the mould is quite deep, and well detailed, and the sides of the mould are plain, with a stepped base. The mould is made from a heavy gauge of copper and it is in very good condition. The tinning, to the interior, is slightly worn. We have 2 of these in stock and they are both in the same condition.